PT0205. 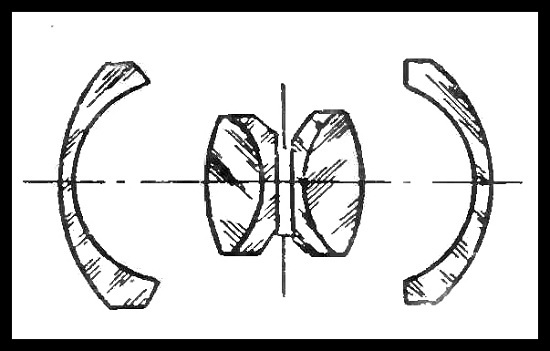 Prototype lens, calculated by GOI in 1956. 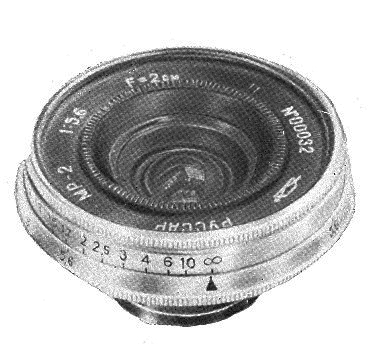 Focal length - 2 cm, aperture range f5.6 - f22. Focusing range from 0.5 m to infinity. Number of elements/groups: 6/4. Angular field - 95º. Zorki (M39) mount. PT0205 - Russar MP-2 prototype lens. PT0210. 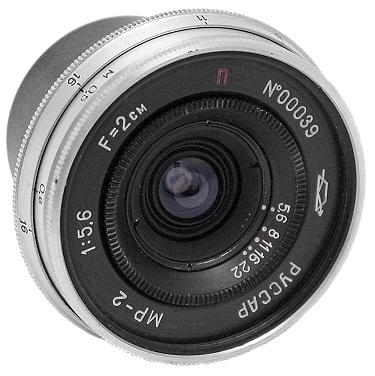 Seems to be an earliest preseries version of the regular Russar MP-2 lens, released by KMZ since 1957. 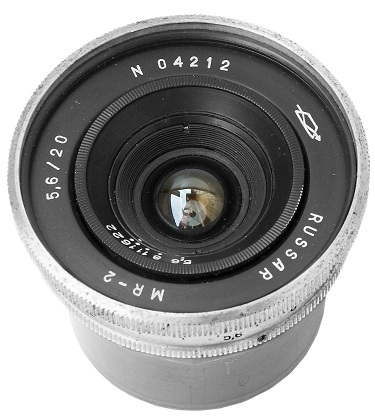 Signally different body finish, slightly changed the optical scheme of the lens (see picture below). Focusing range (in meters): 0.5-0.6-0.7-0.8-0.9-1-1.15-1.3-1.5-1.7-2-2.5-3-4-6-10-∞. 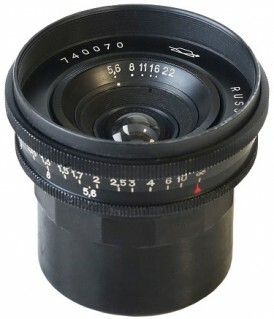 The particular lens was awarded by Gold Medal at Brussels Grand Prix in 1958. Zorki (M39) mount. 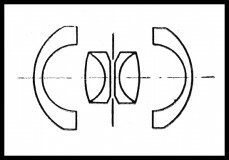 An earliest so far known lens has s/n #00032 (soviet literature). Lens #00039 opposite from Yuriy Davydenko (Ukraine) collection. PT0210 - Russar MP-2 #00039. PT0215. An early preseries version again. Almost identical to PT0210, but without 3 visable bolts on the rearplate of the lens's body. An extremely rare to find nowadays. An earliest so far known lens has s/n #00069 (eBay 2016). 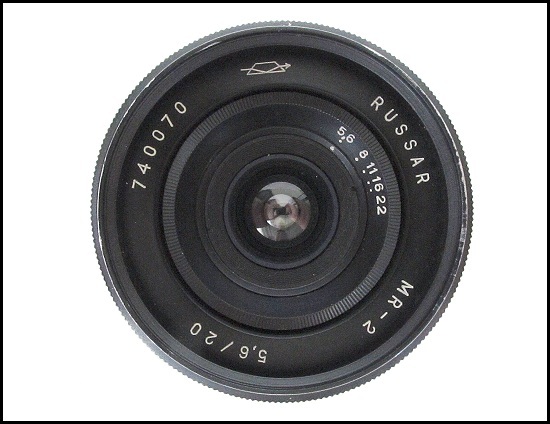 Known Russar MP-2 lens with s/n #00070 was released on 9th September, 1959 (private collection in Russia). PT0220. Seems to be an earliest version of the regular Russar MP-2 lens. Almost identical to PT0215, but with different nameplate markings. "1:5,6 F=2 cm" markings replaced with "5,6 / 20" (see picture opposite). No more russian character "П" ("Coating") on the faceplate. An earliest so far known lens has s/n #00201 (private coll.). 700-800 copies released by KMZ in 1963-1964. PT0215 - Russar MP-2 #00496. PT0225. Lens identical to PT0220, but with signally smaller font size of the serial number (see sample opposite). Chromed body finish. An earliest so far known lens has s/n #01239 (private coll.). Approximately 3500 copies (PT0225 + PT0230) released by KMZ in 1964-1972 (unconfirmed). PT0230. Very uncommon to find export version of the particular lens. Chromed body finish. No otherwise visually different from PT0225. An earliest so far known lens has s/n #04212 (A.Nikitin coll.). Lens #04212 opposite from Alexey Nikitin (Russia) collection. PT0230 - Russar MP-2 #04212. PT0235. Lens identical to PT0215, but with totally black body already. The same focusing range: 0.5-0.6-0.7-0.8-0.9-1-1.15-1.3-1.5-1.7-2-2.5-3-4-6-10-∞. Approximately 2000 copies released by KMZ in 1972-1973. 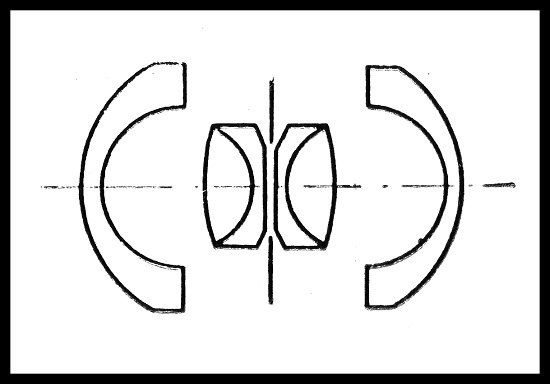 The particular lens #06255 was made on 30th, May 1973. Zorki (M39) mount. PT0240. Very uncommon to find EXPORT version of the particular lens. Totally black body. No otherwise visually different from PT0235. 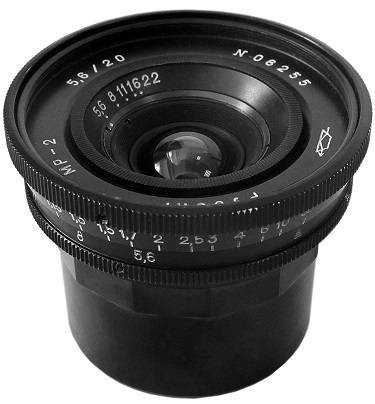 An earliest so far known lens has s/n #05574 (eBay 2016). PT0235 - Russar MP-2 #06255. PT0245. Very uncommon to find EXPORT version of the particular lens. Identical to PT0240, but with date prefix in the serial number. 5-digits or 6-digits serial number. Zorki (M39) mount. An earliest so far known lens has s/n #73243 (private coll.). PT0250. Very uncommon to find export version of the particular lens. Very wide filter's thread now. Date prefix in the serial number. Zorki (M39) mount. 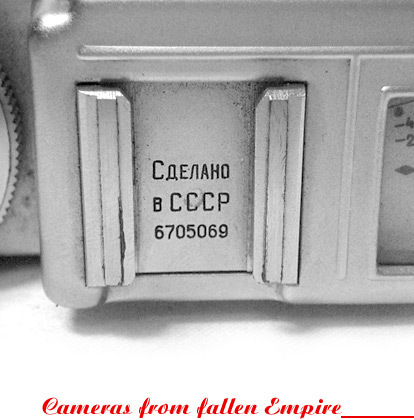 An earliest so far known lens has s/n #740070 (SovietCams). PT0250 - Russar MP-2 #740070. PT0255. 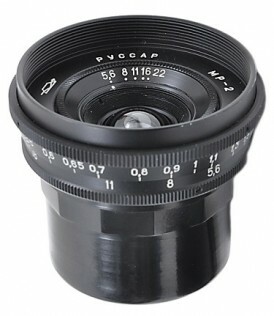 Seems to be the last productional version of the particular lens. Identical to PT0250, but with new focusing range: 0.5-0.55-0.6-0.65-0.7-0.8-0.9-1-1.1-1.3-1.5-1.7-2-2.5-3-4-6-12-∞. Date prefix in the serial number. New style of KMZ logotype since 1977 (?). Zorki (M39) mount. Released by KMZ in 1975-1995. An earliest so far known lens has s/n #750306 (I.Stolyar coll.). PT0260. 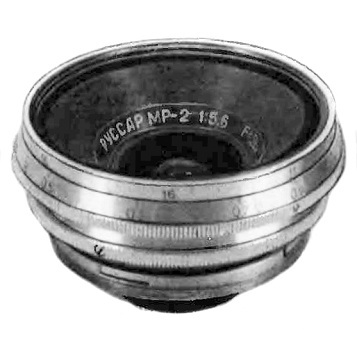 Russar MP-2 lens identical to PT0255, but with serial number, placed on the diaphragm setting ring. Released by KMZ in 1988-1995. An earliest so far known lens has s/n #880102 (source: Sergey Zaborov). Sample opposite from private collection in Europe. 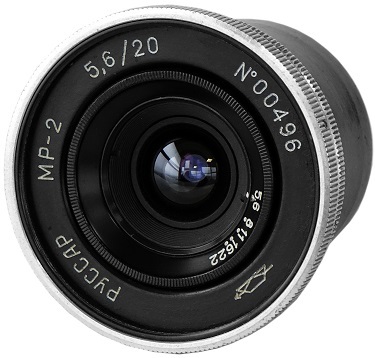 PT0255 - Russar MP-2 lens.